Place 1 Pillsbury™ refrigerated pie crust (from a box), softened as directed on box in 9-inch glass pie plate as directed on box for One-Crust Filled Pie. Set aside. 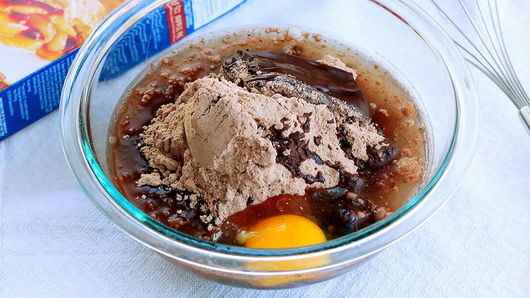 In large bowl, combine 1 box (18.4 oz) supreme brownie mix with pouch of chocolate flavor syrup, chocolate syrup from pouch, 1/2 cup vegetable oil, 1/4 cup water and 1 egg. Stir with whisk just until combined. 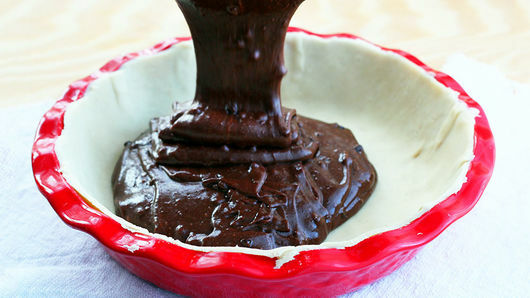 Pour batter into pie crust-lined pie plate. Bake 40 minutes. Remove from oven to cooling rack. Cool completely, 45 to 60 minutes. 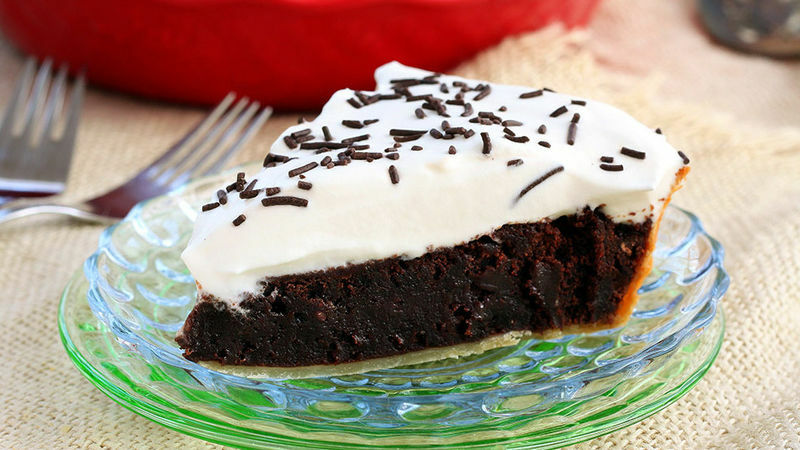 When brownie layer is cool, spread 2 cups whipped topping over top in even layer. 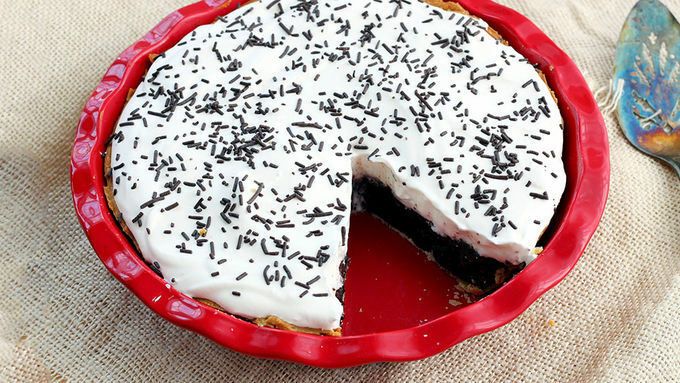 If desired, garnish with chocolate candy sprinkles or chocolate shavings. To serve, cut with sharp knife, cleaning knife blade after each cut. To make your own whipped topping, in medium bowl beat 1 1/2 cups whipping cream until soft peaks form. Slowly beat in 1/3 cup powdered sugar and continue beating until firm peaks form.